To bring children into the Kingdom of God and then to empower and equip them to go out and bring others into the Kingdom of God. Our ministry disciples children in the nation of Haiti with the hope that they will grow up and become the next generation of leaders in their nation. 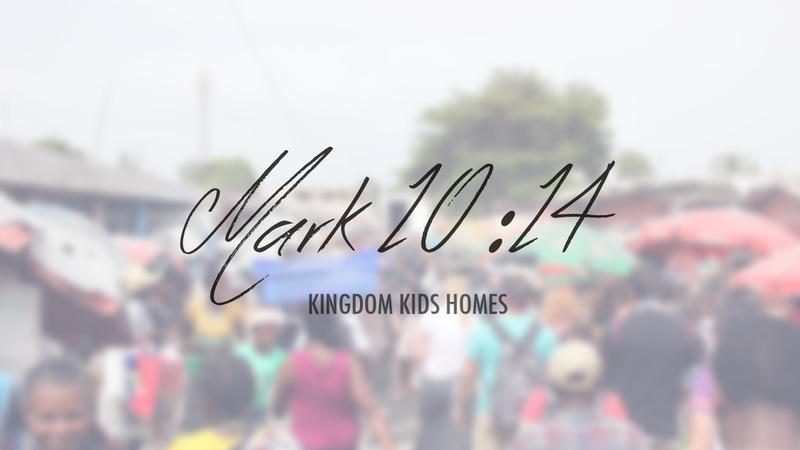 Kingdom Kids Homes has a children's home in Haiti where 16 children currently reside. We give our children three nutritious meals a day, clean drinking water, a Christian education, clothes and other basic needs, a loving, family-like environment, medical care, and the opportunity to know Jesus Christ and grow in their relationship with Him every day! To rescue orphans and provide them with a safe place to call home. To partner with a community of supporters to care for the children and house staff’s daily needs. To give each child a foundation of faith by daily imparting Biblical truths into each child's life.